The Eagle Creek trail near Eagle Creek, Oregon is a bit off the beaten path and one of Oregon’s less known and less traveled hiking trails. 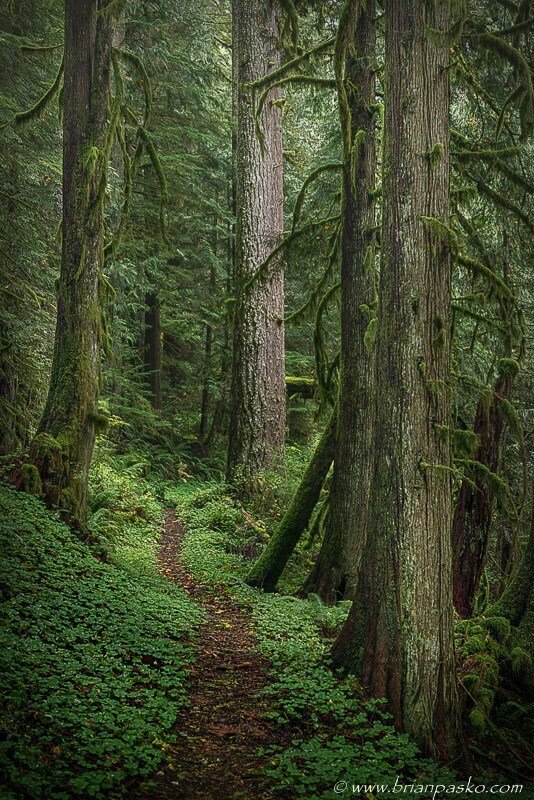 The trail is graced on either side by towering old-growth douglas firs and western red cedars and you’ll find plenty of native mushrooms as the trail gently meanders its way up Eagle Creek. (Click on the image to see a larger version).